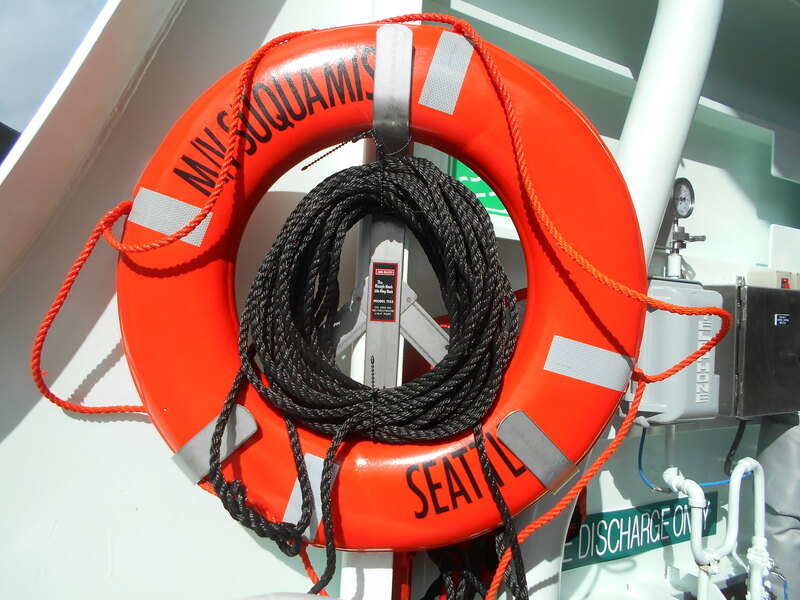 Suquamish was in Elliott Bay today doing sea trials. And, finally, Suquamish gets its own thread. So, all of the "Flight-1" Olympics are built (mostly). Great. Bring on Flight II! "Mulch and mud" didn't do it for you? Interesting tidbit from the WSF Weekly Update about the Suquamish. It has EPA tier 4 diesels, instead of the EPA tier 3 equipment in the other Olympics. WSF touts the large reduction in emissions from these newer engines compared to the older ones, although I have to wonder if the emissions equipment complicates maintenance at all. Cleaner air is a good thing though. I'd be surprised if the maintenance weren't more complicated. At the very least there's a whole new learning curve. 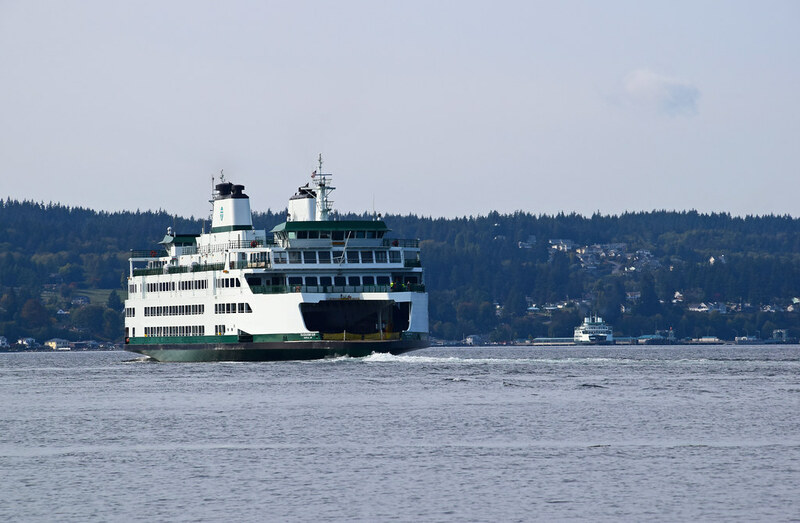 Here's the Suquamish on sea trials yesterday near Edmonds. The air quality yesterday was quite bad, and you could smell the smoke over the salt water. Fairly nasty. I kept my inhaler close at hand. OMG! Where were you, I was there also, I got a few videos. 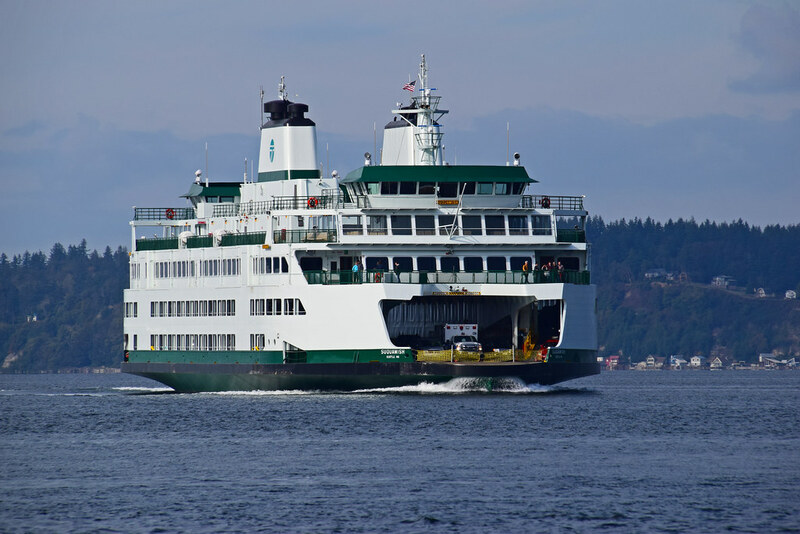 MUKILTEO –Washington State Ferries will begin to carry passengers aboard the newest state ferry, Suquamish, with a 12:30 p.m. sailing from Clinton this afternoon, Thursday, Oct. 4. 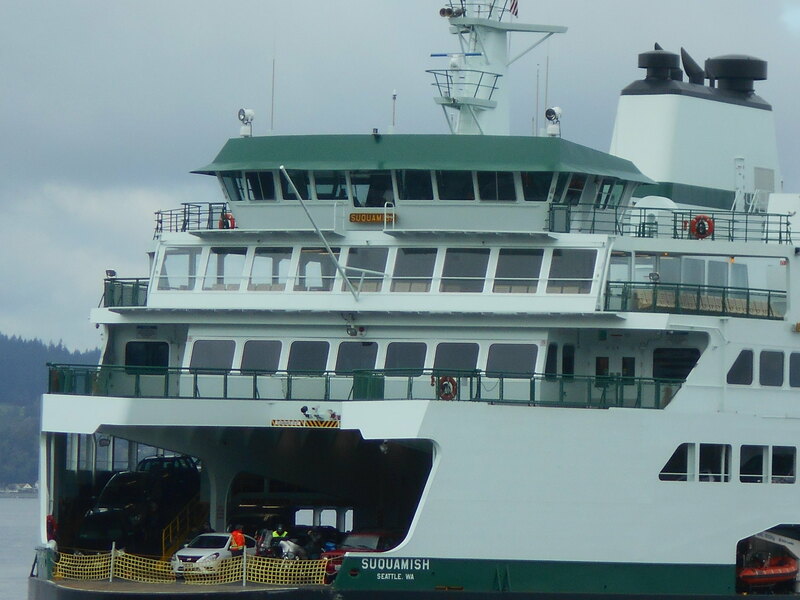 The Suquamish, is the fourth and last funded, Olympic Class ferry. 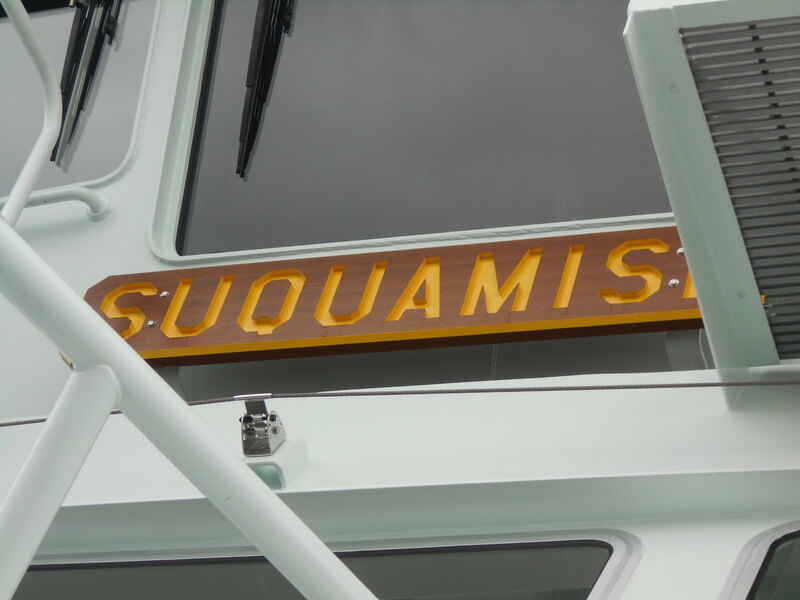 The new ferry’s name means “people of the clear salt water” in Southern Coast Salish Lushootseed language. 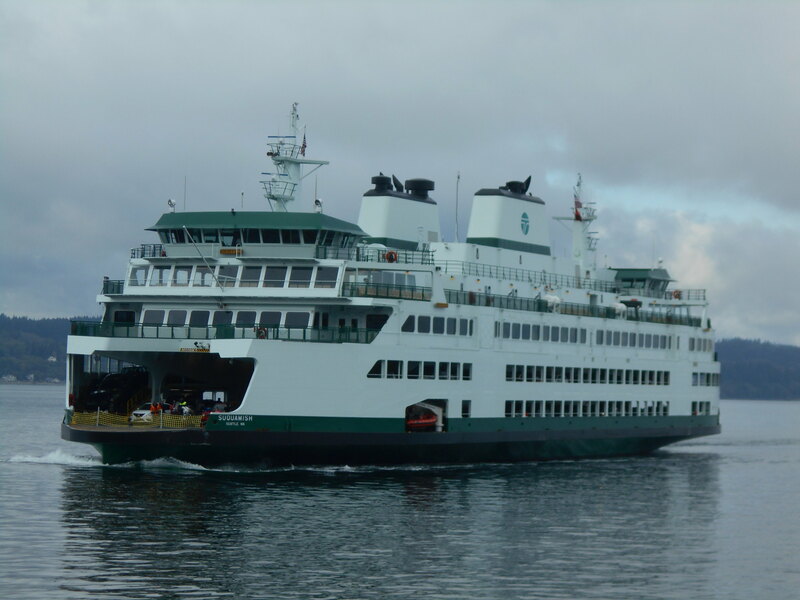 While Suquamish is the last currently funded new ferry, Washington State Ferries is developing a Long Range Plan to address future vessel needs. The plan will be delivered to the legislature in January. 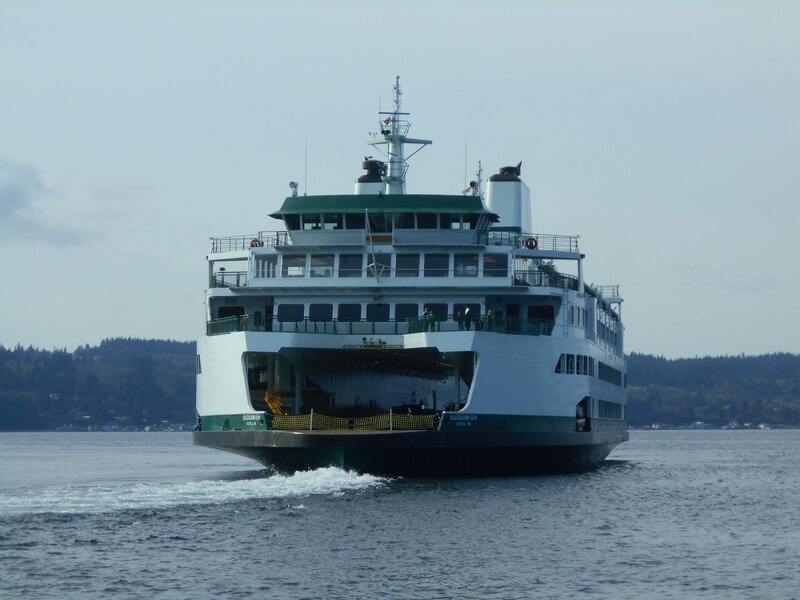 The ferry will operate on the Mukilteo/Clinton route during the busy summer season and will also serve as a maintenance relief vessel filling in when other vessels are unavailable on other routes. 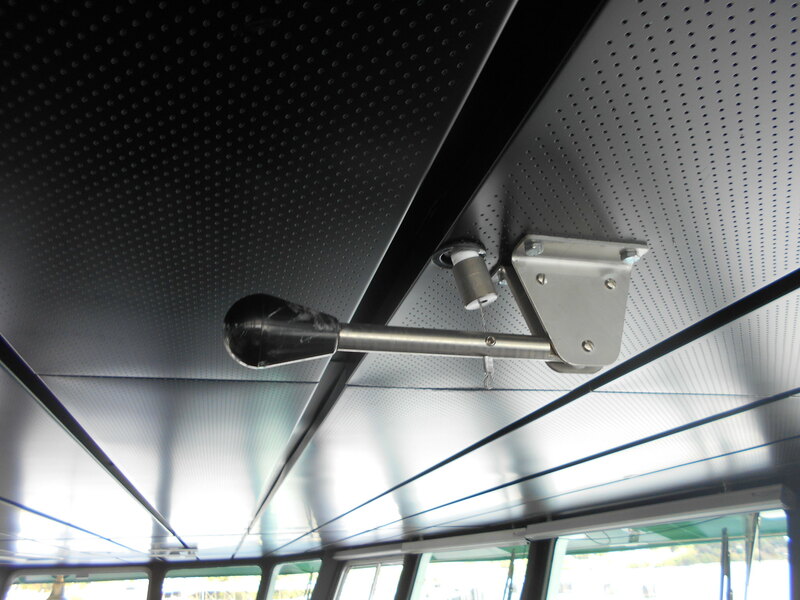 144 vehicle and 1,500 passenger capacity. 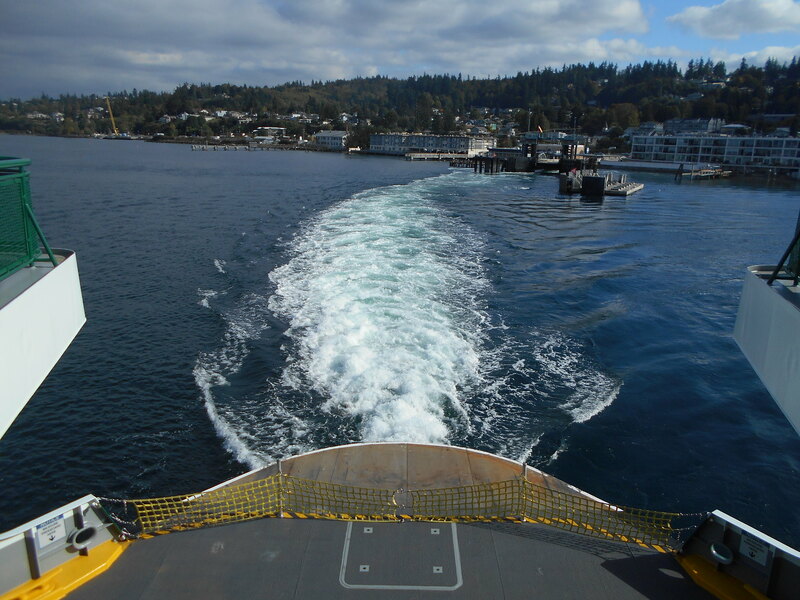 $122 million to construct, in addition to equipment provided by Washington State Ferries. Constructed by ship builder Vigor in Seattle. 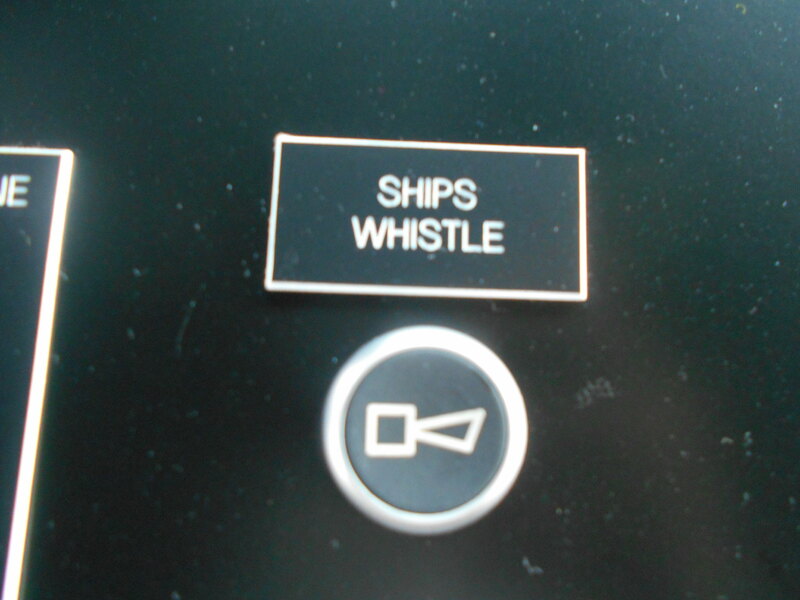 Cleanest vessel in the fleet. Meets the Environmental Protection Agency’s Tier 4 emission standards. 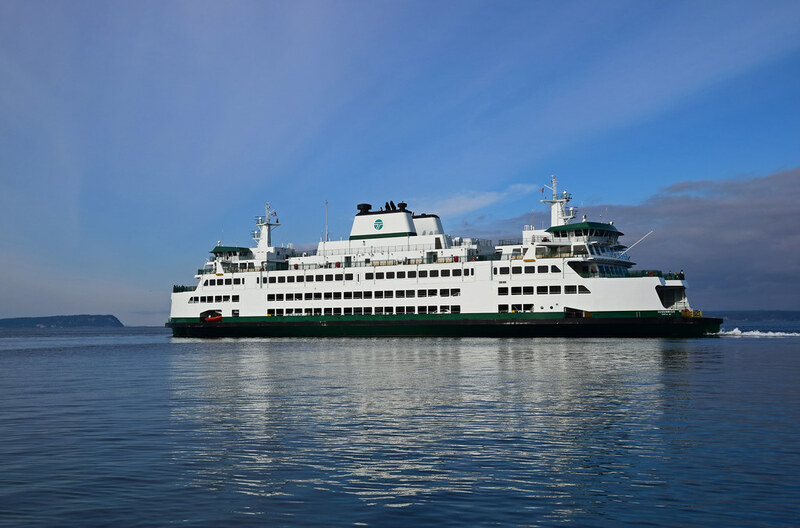 Washington State Ferries, a division of the Washington State Department of Transportation, is the largest ferry system in the U.S. and safely and efficiently carries 25 million people a year through some of the most majestic scenery in the world. 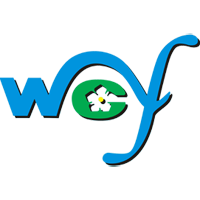 For breaking news and the latest information, follow WSF on Twitter. I'm going to add to Railfan's photos, and share a few of my own from yesterday's trip up to Mukilteo. I confess, I have not actually gone for a ride on the newest ferry yet, but I figure it's not going to be that much different than her 3 older sisterships. 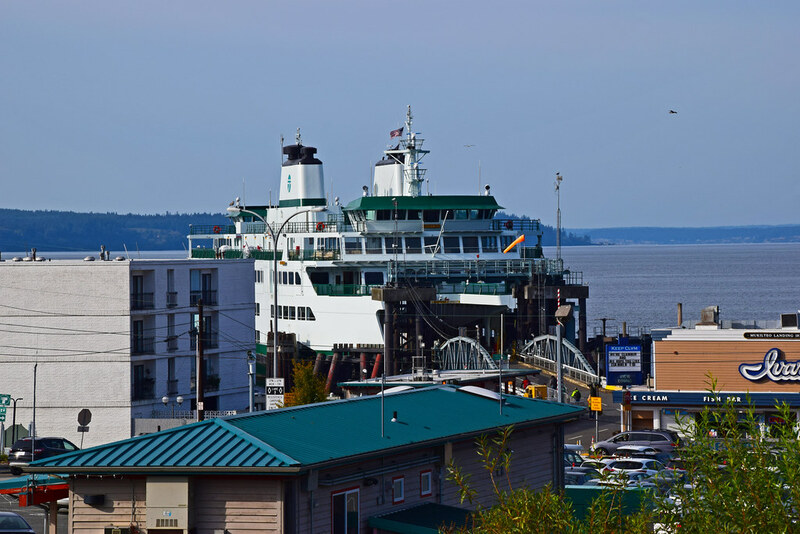 So, instead, I drove up to Kingston, rode on MV Walla Walla over to Edmonds, grabbed lunch in Edmonds, then made my way up to Mukilteo for a little photo shoot of Suquamish and, of course, Tokitae, followed by a drive back to Edmonds, and a crossing on MV Spokane. 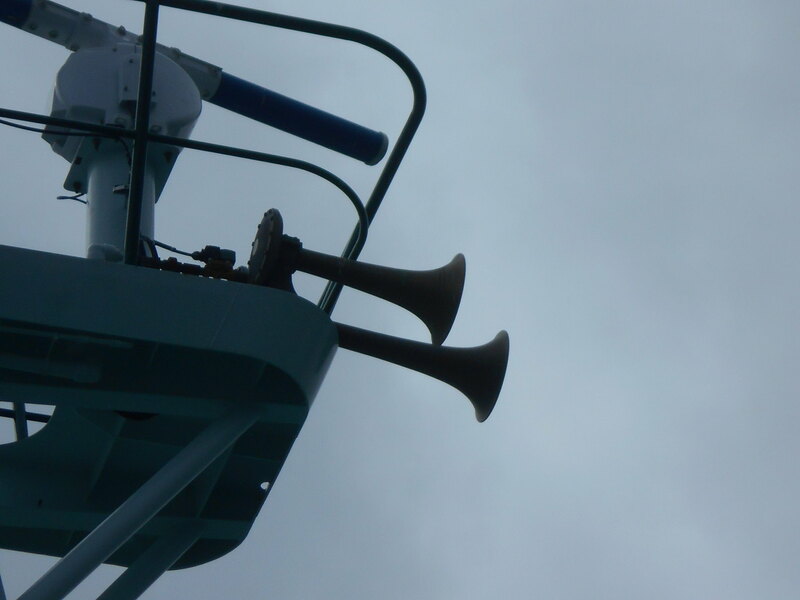 So, I got to see the newest ferry, and I got to ride on both of our Jumbos yesterday. All in all, a good ferry day. I rode her 4 times yesterday .... but the biggest interior difference that was noted was the addition of a bulkhead wall in the passenger cabin that is meant to reduce vibrations onboard the cabin and inside the pilothouses. These are courtesy of Johan. Unless I'm mistaken, none of the other Olympics have any variation in their floor tile or anything on the table tops--I can't remember any on the Tokitae or Samish. Can't vouch for the Chimacum as I haven't been on her yet. At last! Something different to break up the monotony of beige tones seen on its sisterships. I love the design on the table tops! Look at the 2nd interior photo. 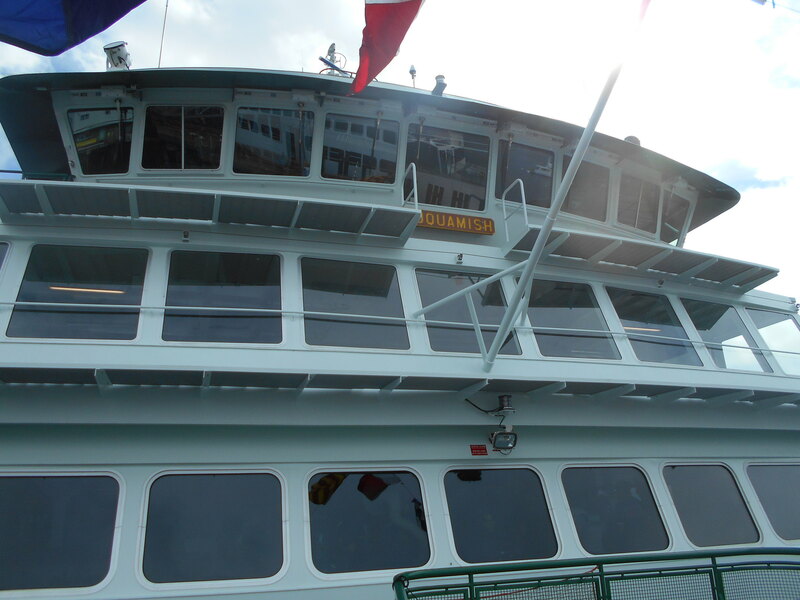 That bulkhead on Tokitae sits under the solarium and pilothouse structures above - also the same on Samish and Chimacum. That's the same on all four of them, and I take the Tok or the Suqu every day even the first saying of her. and yeah Not sure what you are seeing but that wall is on all four of them.